The first thing that you notice when you receive this set is how beautiful the wrapping is. The bombs arrive in a silver box and there are bows on each one. If you no others who like to relax in the tub, this is the perfect gift! However, this particular package was just for your gentle writer. Our tub time was relaxing and invigorating at the same time. We like them all. They dissolve quickly and created total ambiance. All we needed were the bombs, a couple of candles and a glass of wine. 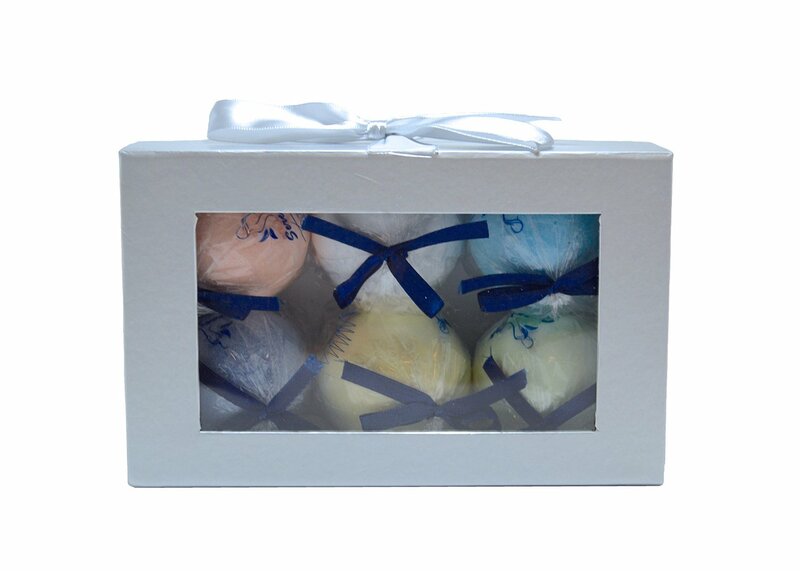 The Bath Bomb Gift Set lists for $36.99. However, it may be purchased for $26.87. Shipping is free for orders over $35.00.